A USC professor shares her personal story of mental illness to shatter the stigma and inspire others to get help. I am a PhD, a book author, a professor at USC. I work with organizations to create healthier and happier workplaces by reducing stress and building emotional resilience. And yet, until very recently, I have been reluctant to share my own story. It is a story of mental illness, recovery and resilience, a story of bipolar disorder. And I have been hesitant to share it because I did not want to experience the stigma associated with mental illness. I used to joke that I didn’t want to be the embodiment of “the nutty professor,” but the joke stopped being funny when the stigma against mental illness — particularly in the black community — negatively impacted my professional and personal life. In previous roles, I learned that it wasn’t acceptable for me to have a mental illness in my professional setting, and that it definitely was not okay to talk about it. My competence was questioned, even though I no longer had symptoms and was given a clean bill of health from my psychiatrist, and I was asked to not ‘out’ myself as having bipolar disorder to my students. That is why I’m sharing my story publicly: I hope to inspire my students to fight their way through their own mental health challenges. Even with all my degrees, even with my understanding of the healthcare system, finding affordable and accessible mental health services has often been a challenge for me. Even though I know what it’s like to have supportive family, friends and colleagues, and a fantastic healthcare team, I have struggled. These experiences have inspired my activism and advocacy for a world where using mental health services is no different than getting care for any other illness. Let me start with a little-known statistic: African Americans are 20 percent more likely to experience serious mental health problems than the general population, according to the Office of Minority Health. And yet: only about 25 percent of African Americans seek mental health care as compared to 40 percent of whites, according to the National Alliance on Mental Illness. The reasons for this discrepancy are plentiful: lack of health insurance, distrust of mental health care system, misdiagnosis of symptoms, lack of cultural competence, and stigma. Addressing these challenges for African Americans entails three parts: taking care of our mental health should be acceptable, accessible and affordable. We live in a society where it is not socially acceptable to talk about one’s mental illness. It is much easier to say you are in recovery from addiction or in remission from cancer than to say you are in recovery from bipolar disorder or to speak of your depression or anxiety freely. There is no token to reward me and no norm for saying how long I have been symptom-free. We live in a culture that does not support mental health and well-being. We work too hard for too long with too little respite. The United States is the only industrialized nation with no national paid maternity leave and no federally required vacation. In Europe the norm for sick leave is 2 to 4 weeks, with 5 to 6 weeks of paid holidays. Americans often feel as if we are in a competition to see who can work longer hours and take fewer breaks, and the result is higher and higher rates of chronic health conditions such as heart disease, hypertension, high cholesterol and obesity — and its related co-morbidities. And for African Americans, the never-ending onslaught of the stress of systemic and personal racism and discrimination — both at the macro and micro levels — exacerbates what regular life in America brings. 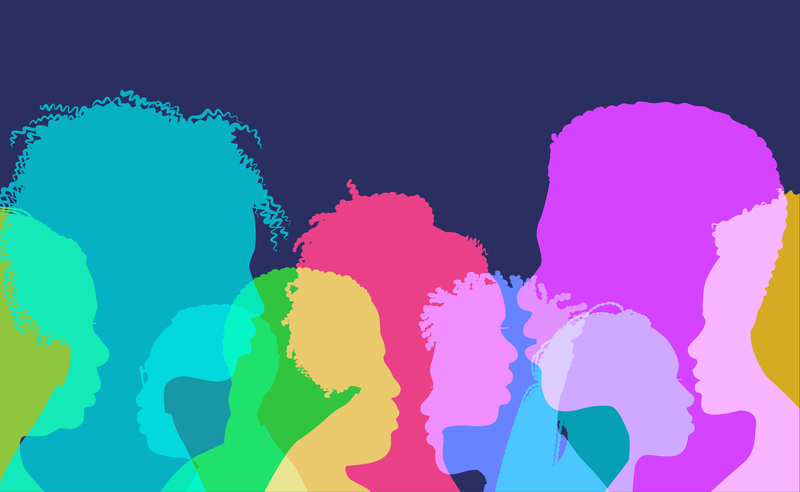 Stereotypes such as the “Angry Black Woman” or the “Black Superwoman” are based in a reality in which black women are expected to do everything perfectly and all at once, and that we should fight back every time we think we have been racially wronged. There is this sense that “black don’t crack,” emotionally or mentally (and not just in reference to our reputedly wrinkle-resistant skin). Faith and spirituality are excellent supports of mental health and can reduce isolation and extend life. But if we approve of people taking medications for hypertension, or getting dialysis for kidney failure, then we should approve of people getting treatment for brain disorders. Having a therapist DOES NOT MEAN that people are weak or not enough of a Christian. We shouldn’t have to literally swallow our troubles into obesity, and associated chronic illnesses like hypertension and diabetes and unacceptably poor maternal and child health outcomes. Recently, New York State became the first state to require mental health education in all its K-12 public schools, which hopefully means that the next generation will be more likely to find mental health acceptable to talk about. It is also great to see men like Jay-Z talking about going to therapy, but it is still a long way from being normalized, especially for African American men. Mental health care is marginalized within the healthcare system. It is not usually a component of annual primary care visits. Medical practitioners often say they don’t have enough time, but there are many ways to get this done. It can be a simple paper form given in the waiting room or done on a tablet of some sort. It could even be done electronically before we show up for our annual visit. This would make the most basic of mental health care ACCESSIBLE and make mental health more ACCEPTABLE to talk about. So let’s say you are one of the small minority of people whose primary healthcare provider completes a mental health assessment, and it is determined that you need specialized mental health services. Then what? Now you have to find a mental healthcare provider. It is not so easy to find a mental health provider who is both taking clients and taking health insurance. There are not enough mental health care providers and the trends in medical training reveal that there will be even fewer psychiatrists than we need in the near future. A primary reason is that nationwide, more than 50 percent of psychiatrists and more than a third of psychotherapists are over the age of 60. With almost 20 percent of African Americans not having health insurance, cost is a significant factor in being able to access mental health services. By including mental health assessments in primary care, there will be a reduced need for expensive specialized care; especially if the assessments are used to do early intervention, such as lifestyle changes and medications, before there is need for acute care. There also needs to be monitoring, advocacy and activism connected to how mental health care will fare if the Affordable Care Act gets dismantled. We need to continue to advocate for expanded health insurance coverage and the provision of low-cost mental health services. Solutions to the affordability issue also include options like having support groups that are both community-based and faith-based, which will also solve a lot of the accessibility and acceptability issues as well. Courses like mental health first-aid will assist communities and professionals in early detection and referral to services that will reduce mental health crises that can have negative lifelong impacts. Making mental healthcare accessible and affordable for African Americans requires coordinated efforts across healthcare systems, and advocacy and activism in the policy arena. Making it acceptable for African Americans to talk about mental health requires ongoing conversations across sectors such as places of work, places of worship and the media. The more it is done, the easier it will be. This op-ed is adapted from a keynote delivered at the health luncheon of the NAACP national convention on July 16, 2018, in San Antonio, TX. Ruth C. White, PhD, MPH, MSW, is a clinical associate professor at the Department of Social Change and Innovation, Suzanne Dworak-Peck School of Social Work at the University of Southern California. She has lived and worked in the UK, USA and Canada, and collaborated with organizations and governments across the globe. Inspired by her own journey with bipolar disorder, she focuses on eliminating mental health stigma, and works with organizations to create healthier and happier workplaces and workforces by reducing stress and building emotional resilience. She is the author of several books including The Stress Management Workbook: De-stress in 10 minutes or less.